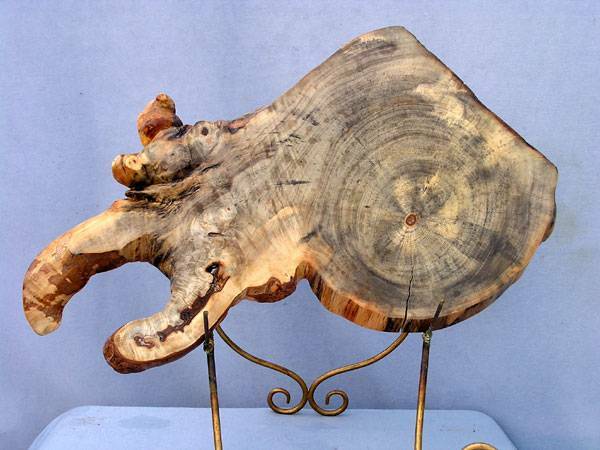 A natural slab cut from a strange, spalted, burl growth. Not the traditional sort of wood you will find in the lumber stores. This is a one of a kind piece of art. Your quality bonsai doesn’t deserve anything less.10’’ wide by 17 1/2’’ long by 1/2 inch thick. Awesome!! Satin finished industrial lacquer! !